Clay Aiken – Time For Fun!! 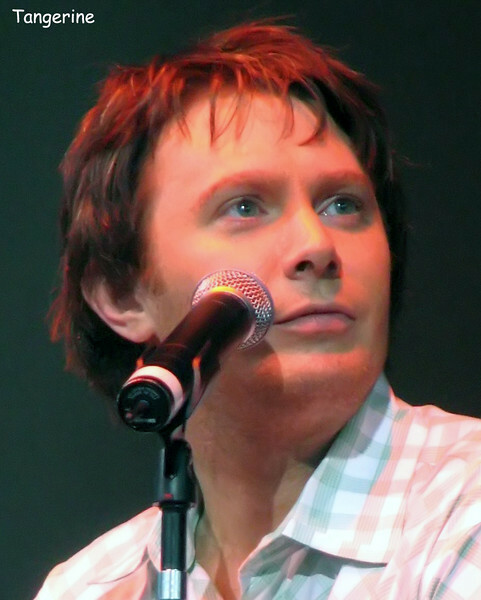 A great video of Clay Aiken! Be sure and watch to the end…the video goes longer than you think!! THANKS FOR THE MEMORIES CLAY – to be sure. God bless the clack gatherers. They worked at every concert so that we would have these wonderful videos. Thanks to musicfan for putting them on CANN. HAPPY SUNDAY TO ALL! ❤️ UNCONDITIONAL love for you Clay. God bless America. Thank you so much! Love the video! Great Sunday fun! I'm so happy we have these great memories to help relive all those wonderful times we shared with Clay! Thank God for all the clack gatherers who have made these possible! It also makes me teary that we no longer are continuing to have these concerts and fun times to look forward to. Those years were absolutely great and constantly gave us our next Clay event to plan — new places to explore — what to wear — Clay friends to meet up with — wondering what Clay would have in store for us, etc., etc. I sure do miss those times!! We are so happy that Clay allowed fans to record his concerts & share them. When he performed in my town, the venue stated that anyone caught recording or taking photos would have their camera confiscated and they would have to leave the show. (and it was a great show!) Sad to see Jerome so big and healthy taking care of Clay after a concert . Hope he continues to heal from the terrible accident. Clay Aiken – One Of The Most Visited Landmarks In The World. Error: Error validating access token: Session has expired on Tuesday, 21-Aug-18 16:13:01 PDT. The current time is Sunday, 21-Apr-19 22:48:36 PDT.